In his response to the Premier’s address earlier this week, Opposition Leader Marc Bean proposed developing our Exclusive Economic Zone for seabed mining, which he said was a billion dollar a year industry. A relatively new industry which involves extracting minerals, metals and other commodities from the ocean floor, the first commercial seabed mining operation got underway last year. In 2012 Canadian firm Nautilus Minerals was granted a 20-year licence by the Papua New Guinea government to commence the world’s first commercial deep sea mining operation, which aims to extract gold and copper from the floor of the Bismarck Sea. The company estimates that the 30-month first phase of the mining will bring $142 million in benefits to the Papua New Guinea economy, with a plan to employ 70% of the project’s staff from the country within three years. Nautilus Minerals said it plans to grow its tenement holdings in the exclusive economic zones and territorial waters of Papua New Guinea, Fiji, Tonga, the Solomon Islands, Vanuatu and New Zealand as well as other areas outside the Western Pacific. 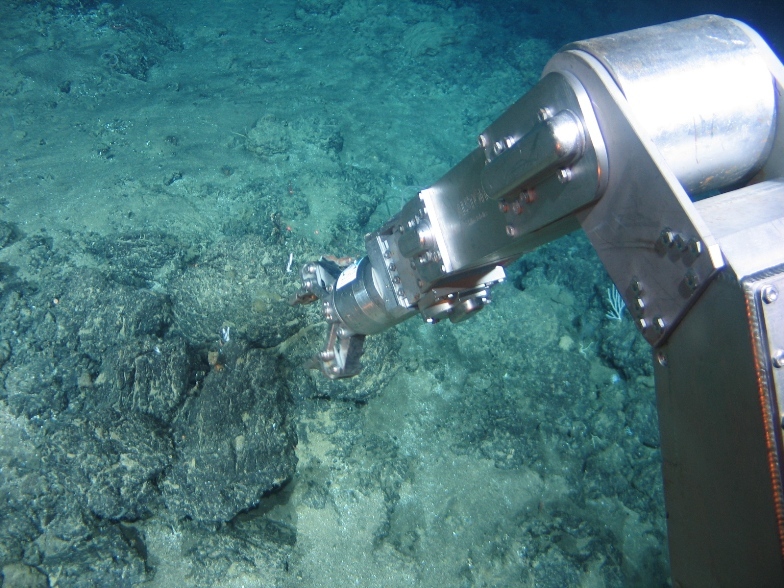 The UK Department for Business, Innovation and Skills, in partnership with UK Seabed Resources, obtained a licence and contract to explore a 58,000 sq km area of the Pacific Ocean for mineral-rich polymetallic nodules. These tennis ball sized nodules, found approximately four kilometres beneath the ocean’s surface, can provide tonnes of copper, nickel, cobalt and manganese, as well as rare earth minerals. Prime Minister Cameron said: “The award of this exploration licence to UK Seabed Resources is excellent news for British companies and British scientists, and the Government is extremely pleased to have supported it. The International Seabed Authority [website] is the world’s regulatory body for deep seabed mining. The international organization was established under the 1982 United Nations Convention on the Law of the Sea. International environmental organisation Greenpeace warns against sea bed mining saying: “As land-based minerals become depleted and prices rise, the search for new sources of supply is turning to the sea floor. “This emerging industry, facilitated by advances in technology, poses a major threat to our oceans, which are already suffering from a number of pressures including overfishing, pollution, and the effects of climate change. “Deep seabed mining could have serious impacts on the ocean environment and the future livelihoods and wellbeing of coastal communities,” continued Greenpeace. A full brochure from Greenpeace on seabed mining can be read here [PDF]. the last thing you want to do is wake up the volcano where sitting on top of. As with everything you have to manage your resources responsibly. With BDA being so limited and dependent on foreign dollars, we would cut of our noses to spite our face if we didn’t consider some sort of industry that we can support ourselves. The critical factor is responsible management. How well we doing on responsible management of the environment/resources so far Young Bermudian? Lets do a quick assessment; pollution and destruction of our cave systems (Tuckers Point), pollution of our ponds with heavy metals, no mandatory EIA requirement for mass developments even though we committed to them under the Environmental Charter 2001. Planning decisions being overturned by our own Ministers despite independent expert opinion recommending otherwise! So without the immediate ability to do a thorough assessment of the potential environmental impact of deep sea mining we would be cutting our nose off in spite of our faces if we allowed it to proceed! All resources are finite so believing that the extraction/use of one (which may or may not be there in any substantial quantities) is going to be our answers to all our prayers is shortsighted and naive! We need to get around this myopic greedy resource driven consumerist mentality before it truly is the end of us! We want to make the most of what we have lets start using all the arable land responsibly and start growing more food for ourselves – a simple small achievable step! Man talk with forked tongue…one minute wants a Preserved Ecological Zone around the waters of Bermuda i.e. Sargasso Sea and the next minute wants to mine the sea bed to make Bermuda rich…WAKE UP BROTHA!